SETH’S PICK :: BLACK SCIENCE TP VOL. 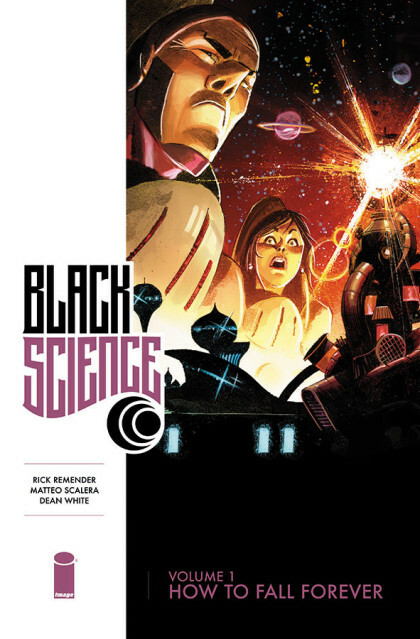 1: There are several reasons to pick up this first volume of the acclaimed series Black Science. Firstly, it’s an energetic sci-fi tour de force from Rick Remender and Matteo Scalera. There’s a reason these single issues sold out quickly, and if you missed any of them, here’s the perfect opportunity to see what we’ve all been talking about. Secondly, and of equal importance, this collection is only $9.99! Image Comics has been using this price point for the first volumes of their new series’ trade paperback collections, and it’s a smart publishing initiative. In fact, you could pick up this volume and the first collections of Manifest Destiny and Pretty Deadly for just over $30 plus tax. That’s a lot of good comics for not a lot of money. Bonus Pick: Southern Bastards #2: This is yet another sold out Image series, and my favorite new title of the year. Jason Aaron and Jason Latour’s southern crime story employs finely tuned writing and meticulous art to brilliant effect. Their cinematic use of tension and release remind us of how comics can still be used to tell unique stories in unique ways. Bonus Pick #2: Devil Dinosaur by Jack Kirby TP: This is not the King’s greatest comic work, no, not by a long shot. But it is a series where he draws all kinds of dinosaurs and monsters, and that’s enough for me. Plus, this is the first time the whole series is available in a single trade paperback. SETH’S PICK :: PRETTY DEADLY #3: It’s the end of the year, so I can finally say it: Image produced my favorite monthly comics in 2013. What I appreciate the most is that their creators can, by and large, keep to themselves and tell the stories they want without having to allot time to company wide shenanigans (crossovers and events, I’m looking at you). The results are books like Hickman and Dragotta’s East of West, Dingess and Roberts’ Manifest Destiny, Brubaker and Epting’s Velvet, and Remender and Scalera’s Black Science (issue two is also out this week!) – all exciting comics that warrant your monthly attention. Then there’s Pretty Deadly, the incredible new supernatural western series from Kelly Sue DeConnick, Emma Rios, and Jordie Bellaire. This series shouldn’t be celebrated just because all of the book’s talented creators happen to be female. We should celebrate this book because it represents the creators’ best work of their careers. It’s also, more importantly, a riveting and layered comic book experience. DeConnick’s writing, which I’ve long been a fan of, is lyrical without being overwrought, poetic without being overly expository, and soulful in its delivery. Rios’ art is full of fragility and fright. She captures the vulnerability of small animals with the same confidence as she does the horrific rage of the daughter of Death himself. 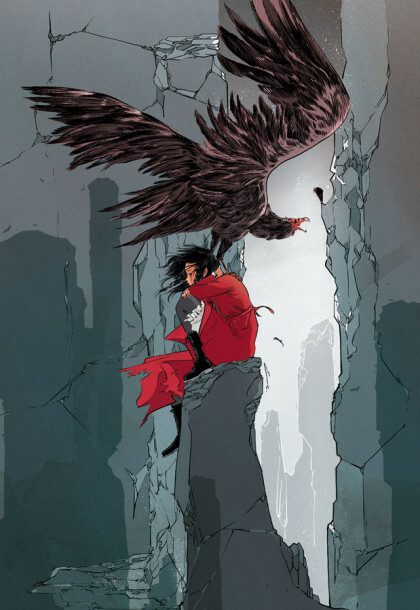 Bellaire, who may well be 2013’s most prolific colorist, doesn’t merely match the tone of the writing and art, but stretches her palette more here than you may have seen in her other works. It’s early enough in this series to be able to pick up the first two issues at cover price, and I’d encourage you to seek them out. This is a fine comic book, and one I hope you’ll pick up before the end of the year.